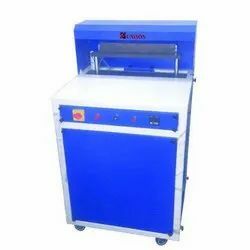 We rank on the top in by offering best quality of Manual Box Strape Machine, which is known for its remarkable finish and quality. This is being utilized on Polyolefin Shrink Film Rolls in arrange to form the pouch later than setting the product within the centre folded film. 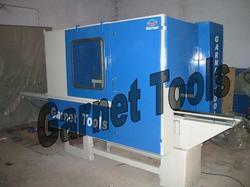 This machine is easy in operation, functionality and robustness and is being provided at market leading prices. Application: FOR FINGER CUTTING AND ASSEMBLY. Backed by years of industry experience, we are engaged in offering a premium quality range of Manual Finger Jointing Machines. We are among the reputed organizations, highly engaged in providing an optimum quality range of Finger Jointing Line Shaper. We are committed to offer our large number of clients an excellent array of Manual Finger Forming Machine. Our offered products is available according to the detailed specifications of our customers. This product range is suitable for long time use by the clients are numerously demanded in various industries and meet the satisfaction level of our clients. We are one of the most reliable and trusted manufacturers and suppliers of a wide range of Finger joint Machines.